Romance is about chemistry but also inspiration and opportunity. Fiesta serves up both on a moonbeam. 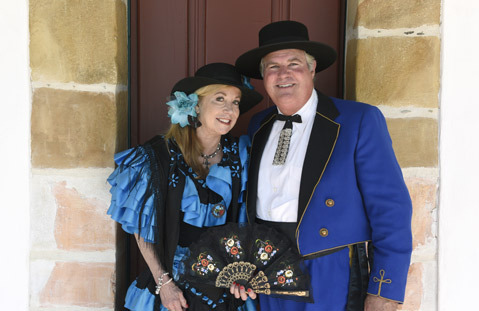 From the fleeting El Paseo tryst and Casa de la Guerra first kiss to marriage proposals and vows exchanged, Old Spanish Days has united countless couples whose paths might not have otherwise come together. 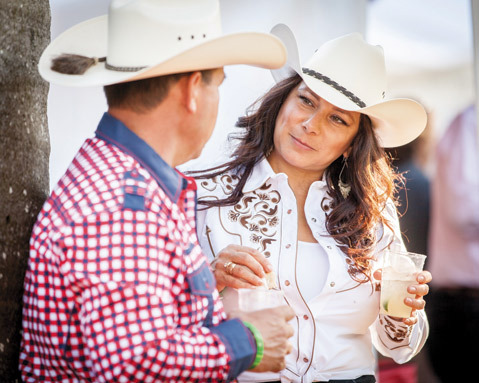 This year’s El Presidente, Cas Stimson, knows this to be true, as he met his wife, Kathleen McClintock, at a Fiesta party in 1989 and for that reason chose Fiesta Romántica as this year’s theme. 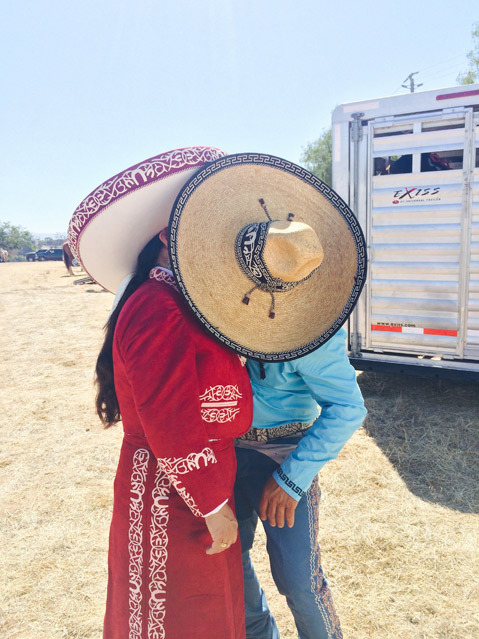 With romántica in mind, I started to casually ask around: “Do you have a romantic Fiesta memory, and do you mind sharing it in a very public way, like, to the tune of 40,000-plus readership?” The stories slowly surfaced, and then, suddenly, gushed in. 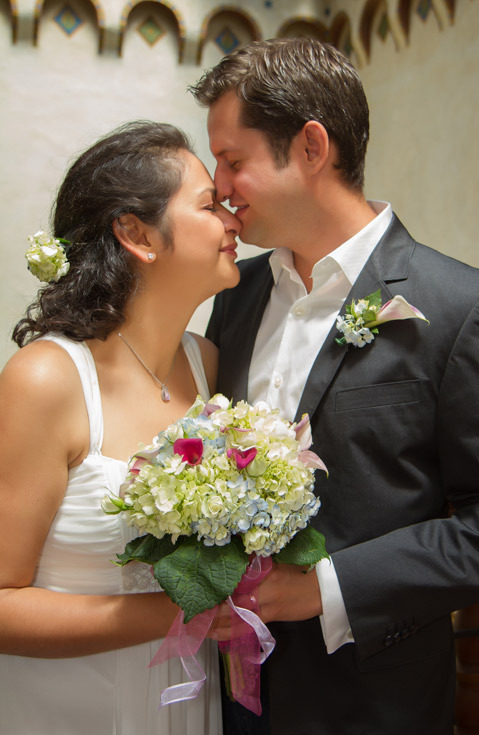 After weeks of listening to love stories, when I finally sat down to review my interviews and write, I reflected on one of my most savory Fiesta moments: the time I serenaded my husband at Casa de la Guerra, where we were married the year prior. I’m no singer, but the mariachi trio filled in the blanks, and I belted out one heartfelt Spanish love song about the suffering that comes from truly loving someone: “Usted es la culpable, de todas mis angustias.” My husband rose and kissed me with a dip as the Casa cantina crowd howled in delight. I will never forget the look on his face — enraptured joy. Patricia Velazquez and Ruben Dunn will make their way to Fiesta from Nebraska to keep an important date: their wedding ceremony, to be held Sunday at the Presidio Chapel. And some of the guests will come from even farther; Dunn’s mother and extended family are from Madrid, Spain, and they’re making the trek to be here, too. Velazquez is no lightweight when it comes to historical clout. She is a ninth-generation descendant of José Francisco de Ortega, first commandant of the Presidio of Santa Barbara. 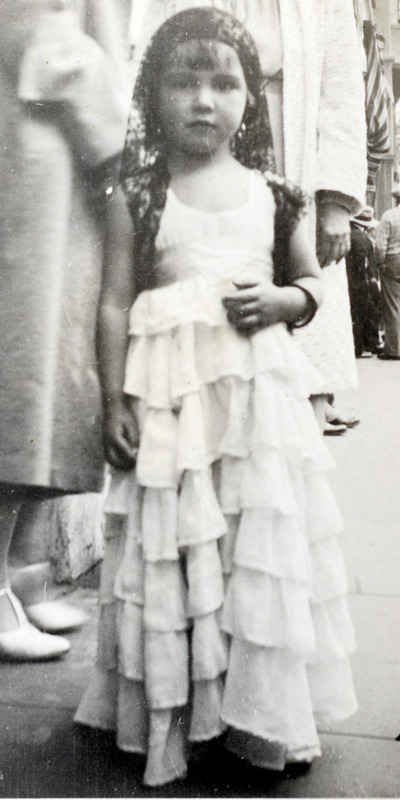 Her three cousins were all Spirits of Fiesta — Angelina, Elia, and Felice Valenzuela — and her aunt, Carol, was one of the early Fiesta dancers, performing with El Paseo nightclub king José Manero. It was 1987, and Rosa Chavez was 16. A few of the roommates in the Hope Ranch house she helped take care of invited her to the Fiesta mercado at Our Lady of Guadalupe Parish on the Eastside. “When we got there, I thought ‘I’m going to dance tonight,’” she said in Spanish, remembering that the party was packed with handsome young men around her age. Then one caught her eye. “He was shy. So was I. He asked me to dance. I liked him,” Chavez confessed, speaking in Spanish. The two exchanged phone numbers. Chavez’s instincts told her to dig the number out of the trash and beg the woman of the house to allow her to use the phone. She called Ernesto Cardenas. 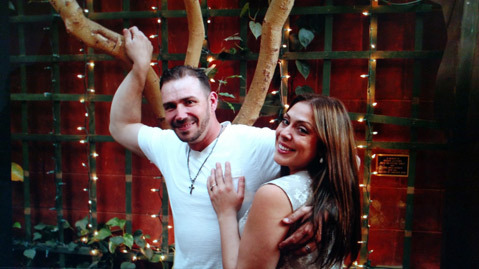 “I told myself that if he answered the phone, then it was meant to be,” she said. In a time before cell phones, Chavez saw it as fate that Ernesto Cardenas had just walked in the door from work and was able to take the call. Married with two daughters, Jocy and Erandy, the Cardenases have faithfully participated in Fiesta every year. You’ll see the couple in full charro, silver-studded regalia, riding together in the horse parade. Longtime Fiesta aficionado Barney Brantingham has written about the celebrations for five decades. No wonder that he had his own story to share: a romantic turning point one warm Fiesta day when he was courting his now wife, Sue De Lapa. Barney said his date’s lighthearted nature in that stunning dress made him realize what a gem he had uncovered. 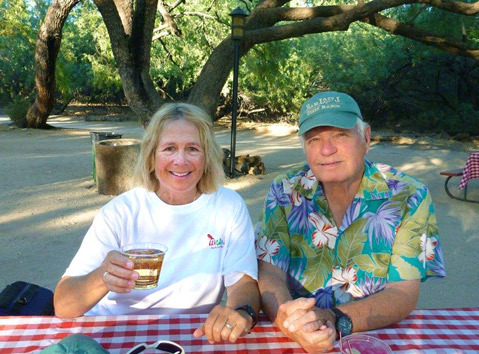 “Today, years later, we’re still together, and I’m more careful with my beer,” he said. It was Fiesta 1929, and the train from Los Angeles was about to pull into the Santa Barbara station. A young college chap and Santa Barbara native, Ben Burkard hid behind a pillar at the station, waiting to see what his date would look like when she stepped off the train. See, Ben was being set up with his college roommate’s girlfriend’s best friend, Annabel. The girls came up on the train to join the college roommates at a new festival called Old Spanish Days Fiesta. Ben and Annabel — who have both passed away — spent a wonderful Fiesta together, strolling along the shore, dancing by moonlight, watching the parade. 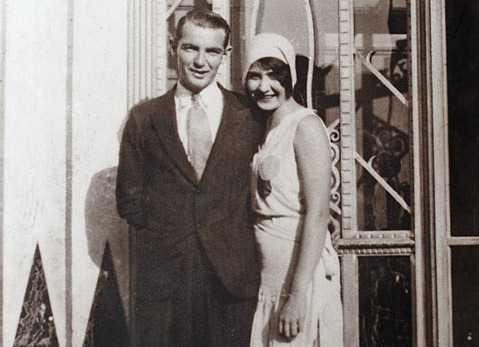 They were engaged by Valentine’s Day of 1930, and married that August. Obviously, Fiesta always held a special place in her parents’ hearts. 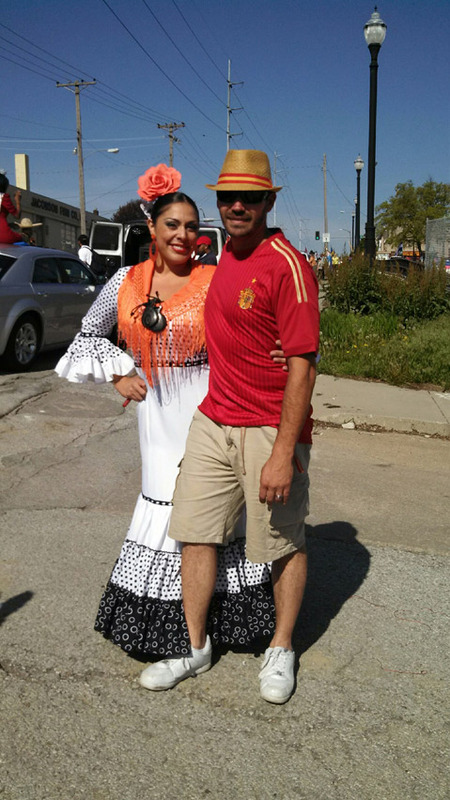 It had all started with two friends taking in a few Fiesta events together. But as the days passed, the Fiesta heat kicked in, and romantic aspirations stirred between Pantea Rahimian and Daniel Koenig, leading to a knee-weakening, life-changing kiss. The two had first met in 2005 when Koenig came from his native Austria to Santa Barbara to study English. “Fast-forward four years to 2009, when Daniel came back to Santa Barbara to visit me and we had the opportunity to spend time together during Old Spanish Days, watch the flamenco dancers under the stars at the Santa Barbara Mission, and devour pancakes at the Kiwanis Club breakfast,” Rahimian said. After a day of Fiesta-going, the two wound up back at Rahimian’s apartment, in the laundry room of all places, suddenly locked in an “extraordinary” kiss. Few Santa Barbarans have witnessed as much romance as the Rev. Jerry Bellamy. 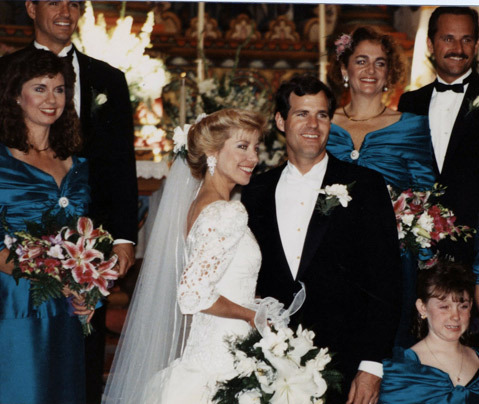 He’s performed more than 6,000 weddings here over the past 42 years. Fiesta, Bellamy said, is particularly romantic, and extremely popular for proposals, weddings, and honeymoons. Bellamy has been in the love business since the age of 8, serving as an altar boy at weddings on the weekends. He became an ordained Catholic priest in 1972, and was assigned to Santa Barbara’s Our Lady of Guadalupe Church. The unmarried life of a priest was not meant to be, and Bellamy left the priesthood to marry the love of his life, Adrianne Nuñez, and start a family. The two have two children, Timo, a model and professional flamenco dancer and teacher, and Beatrice, 1994 Junior Spirit and 2000 Spirit of Fiesta, and now an attorney. Bellamy will preside over Beatrice’s wedding later this month at the Presidio Chapel.